Slice peaches about one quarter inch thick and arrange on a plate. 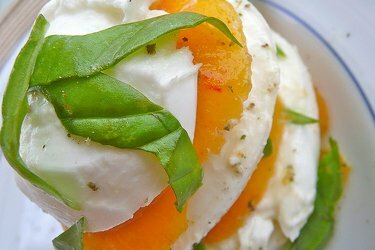 Slice thin discs of mozzarella cheese and place on each peach. Top with a sprig of basil.